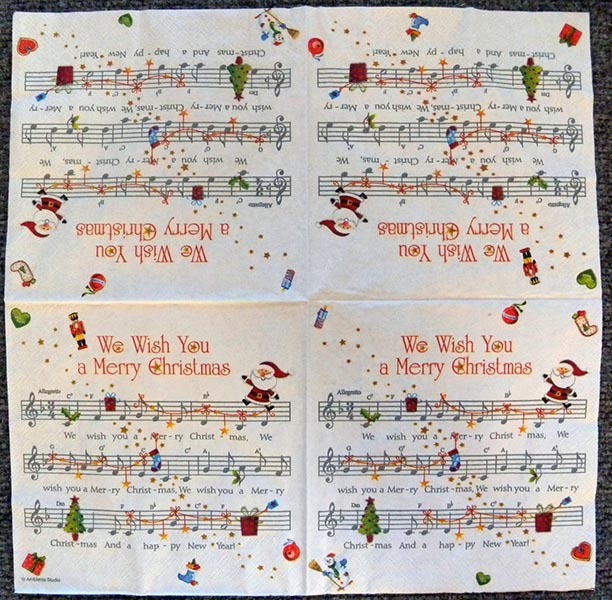 Beautiful paper napkins for Christmas,Thanksgiving or your very special event. 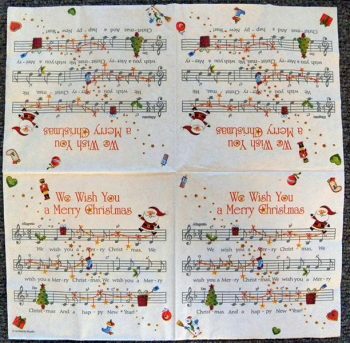 Napkin decoupage with this classic Christmas carol paper napkin from Germany. 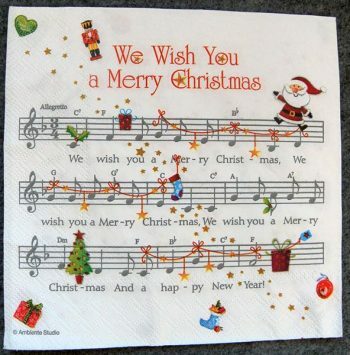 These are perfect decoupage paper napkins. Each napkin measures 13″x 13″ (33 x 33 cm) in 3-ply paper.